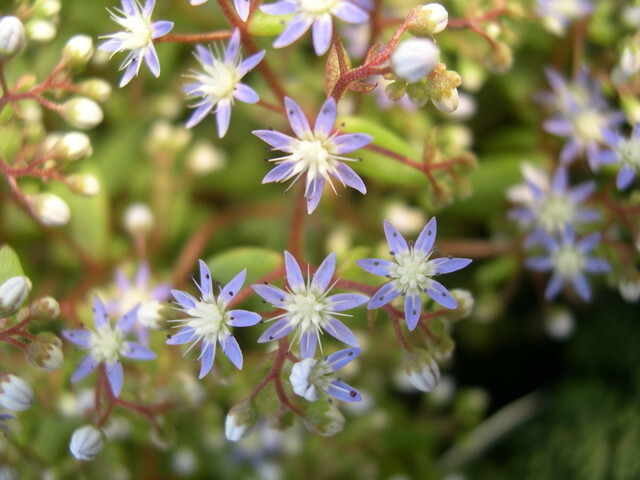 This is the only Sedum species with blue flowers. Star-shaped flowers of azure blue top this showy annual. Plants can gain 10-12 inches in height but height will vary depending on its location. Leaves color up red in full sun. A native to Italy and surrounding islands as well as north Africa.